We all plan our trips differently. Some plan their travels based on trendy places they see pop up over and over again on Instagram or Pinterest. Some others plan their trips based on their budget. And there are some others who plan their trips based on a skill they are looking at improving. For example, if you are looking at improving your dancing skills, many will tell you to go to Cuba or Jamaica. Do you want to learn the art of baking? You should probably go to France. Are you interested in learning more about beer? Germany is the place to go without a doubt. So, where do you go if you want to practice or learn Spanish? Well, you have quite a few options. Here is a list of all the places in the world where you can go to practice your Spanish and immerse yourself in the culture of over 400 million people worldwide. In the following countries and territories Spanish is either the official language, the most commonly used by the locals, or one of the main languages spoken there. Mexico is the most populated Spanish speaking country in the world with a population of over *119,530,753. The capital of Mexico is Mexico City, and this is also the biggest city in the country. Some of the best things you can do in the country are: Visit ancient ruins, learn about the process of tequila in Tequila, Jalisco, swim in the cenotes of the Riviera Maya, and enjoying the amazing food of this country. Are you surprised? Although Spanish is not the official language of this country, neither is English. The US doesn’t have an official language, but the number of Spanish speakers in the US makes it the second largest Spanish speaking country in the world (only after Mexico). The south of the US was once Mexican territory and it is estimated that over 52 million people in the US speak Spanish (42 million speak it as a native language and the other 11 million are bilingual). If you want to experience the Latino culture without leaving the US you can visit the states of California, New Mexico, Florida, Arizona, and Texas. These states have huge Spanish speaking communities which will make you feel like you are right in Mexico or Latin America. This country has a population of *48,400,388 and it holds the fourth largest economy in Latin America. The capital and biggest city of this country is Bogotá. Colombia is one of the most ecologically, linguistically and ethnically diverse countries in the world. Some of the best things to do in Colombia are: learn about how coffee is grown and processed, enjoy some of the best coffee in the world, trek through its tropical forests and national parks, and appreciate the street art in Bogotá. Spain’s population is slightly smaller than that of Colombia with *47,737,941 inhabitants. The capital city of Spain is also the largest city in the country, Madrid. 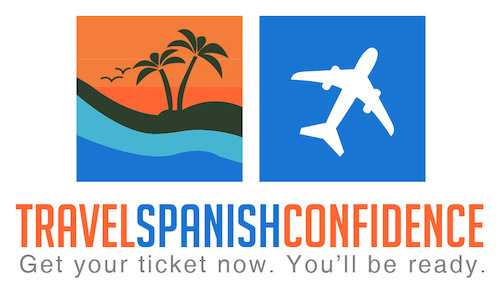 Must see and do attractions include: The Alhambra (so famous and beautiful you have to buy tickets at least 60 days prior to your visit), seeing the Sagrada Familia church in Barcelona, and enjoying a glass of sangria and tapas. With a population of *43,417,000. The capital city of Argentina is Buenos Aires, which is also the biggest city in the country. Some of the best things to do in Argentina are: visiting the Garganta del Diablo (The Devil’s Throat Waterfalls), exploring the Parque Nacional los Glaciares (The glaciers National Park), and going to Teatro Colón (Colon Theatre) a 110 year old theatre, considered one of the top five best in the world. *According to a 2015 census. We are looking forward to visiting all of these in the near future. We want to capture as much as we can from the culture, the people and the landscapes of these 5 places and motivate you to visit them, too. Have you been to any of these? Which one is in your list of places to visit this year? Let us know in the comments. We love reading from you. ¡Hasta la próxima!